From 2004 to 2016, iostudio created, researched, wrote, edited and designed the official magazine for the U.S. Army National Guard, known as GX: The Guard Experience®. With more than 60 industry awards, GX was the most awarded military magazine of its time. The Army National Guard’s force spans 3,500 communities across the country with sporadic internal communication. The lack of centralization hinders a unified mission and singular Guard identity, which hinders retention of its members. Through intensive audience and client research and audience involvement culminating in the creation of a high-end magazine, website and social media content, we empowered the Guard membership to better understand their service, advance their careers and enhance resilience. Following the Army’s Comprehensive Soldier and Family Fitness model, we researched and created content to boost total strength of the military family physically, psychologically and financially. 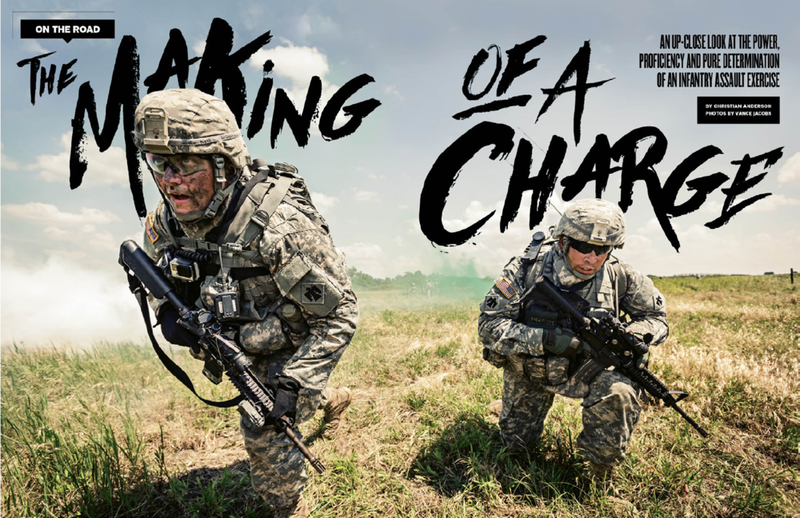 In this, we crafted GX: The Guard Experience multimedia marketing, a common ground for all members and a trusted communication outlet recognized by leadership as the go-to source for Guard information, “how-to” guides, opportunities and success stories. For more than a decade, more than 95 percent of the audience has declared GX products make them feel proud of their service.